Identity & Publication Design Immensely successful, Larry Gagosian sits on top of the art world pinnacle, directing his world-class, architect-designed galleries and A-list roster of artists and clients including, but in no way limited to, Stella, Geffen, Warhol, Saatchi, Newhouse, and Rothenberg. When Larry Gagosian first made the transition from Los Angeles to New York City in the mid-eighties to open his premier Chelsea gallery at 521 West 23rd St, he sought out Design Latitudes to create his new identity after viewing our work for Kent Fine Art in Art Forum. We developed his initial bold and cunning identity, set in metallic-gold Spartan typography to convey a sense of strength, power, and honor moderated by simplicity and elegance. In terms of his brand nomenclature, we convinced him to drop "Larry" from the gallery name and become simply, "Gagosian Gallery." We have never recommended calling him "GoGo" nor would we ever. 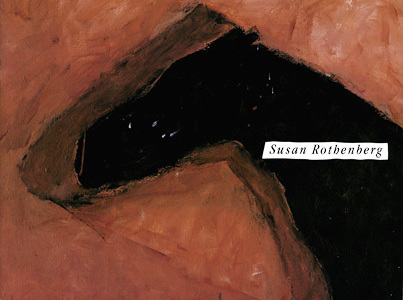 One of his inaugural exhibitions was a museum-quality show for Susan Rothenberg's The Horse Paintings 1974-1980 which was a stunner, proving Gagosian one of the very few galleries capable of competing at the museum level. The catalogue we designed with Larry and Melissa Lazarov for the show over a chilly weekend in November is now a collector's item. In 2004, the British magazine Art Review called Gagosian "the most powerful figure in the world of art." Gagosian was extremely personable and funny, a charm to work with, and was most respectful of our design talents.